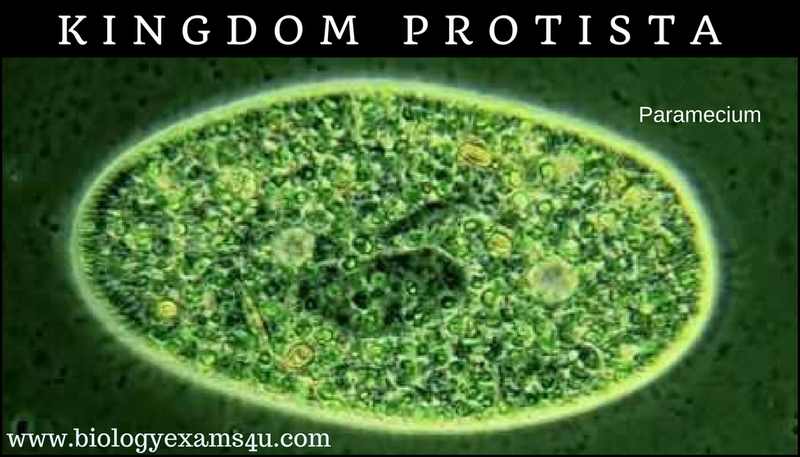 The Kingdom Protista includes mostly unicellular eukaryotes such as protistan algae, Slimemoulds and Protozoans. Protoplasmic level of organization ; no organs or tissues. Their shape may be constant or variable(Amoeba). Nutrition: Euglena like protists show a double life; auto trophic and heterotrophic. 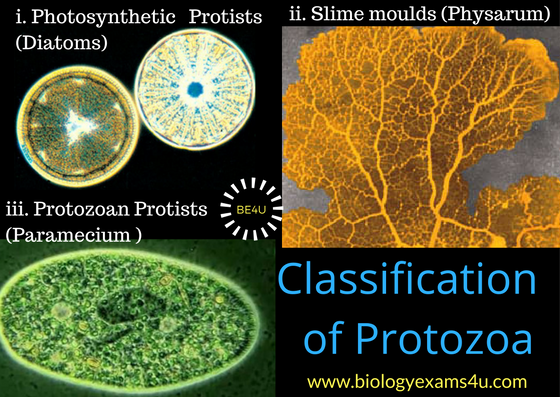 Many of the protists are photosynthetic autotrophs found mainly in fresh water and oceans. They are called phytoplankton e.g. diatoms. Structure: Mostly unicellular and posses typical cell organelles like nucleus, mitochondria, endoplasmic reticulum (ER), Golgi bodies and plastids. Locomotion: Some of them have cilia or flagella with 9+2 internal microtubular structure. Reproduction: Asexual Methods (Binary Fission, Multiple fission, budding and spore formation) and Sexual methods by fusion of gametes.